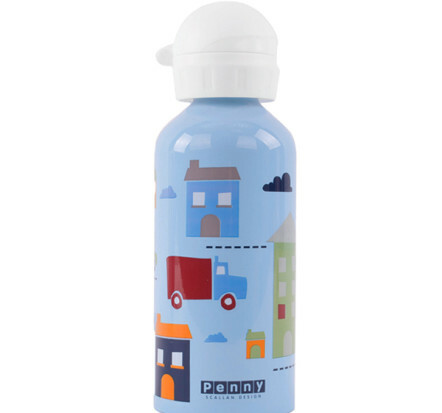 This stainless steel drink bottle from Penny Scallan in the cool Big City design will keep drinks cooler for longer and is great for childcare, kinder, school or when ‘out and about’. 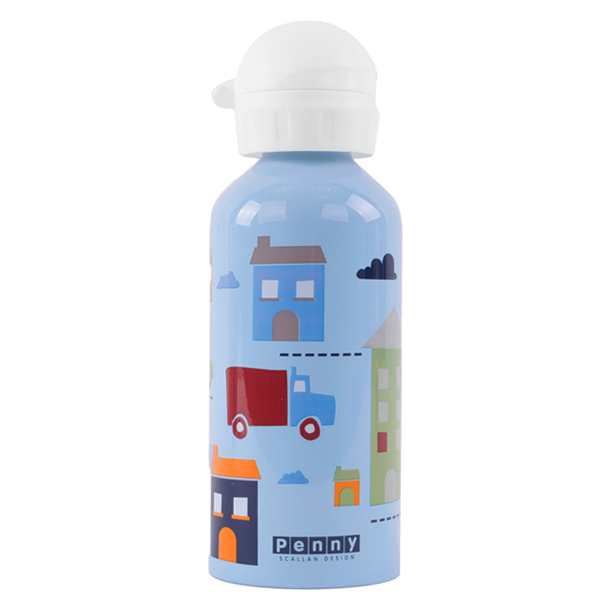 This Penny Scallan drink bottle is durable and lightweight ~ the stainless steel is a popular alternative to plastic. It has a plastic twist top drinking nozzle, and a lid that seals over the mouth piece. Matching bags, hats and other new products are also available in the Big City design. Penny Scallan is a trusted Australian brand and all products are of excellent quality and very fashionable ! !